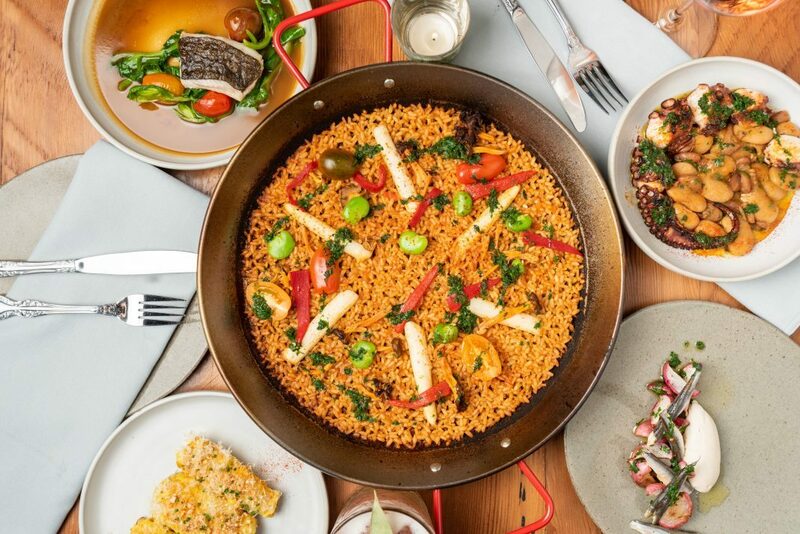 From Matt Molina’s unfussy new Highland Park spot to a Latin-inspired dinner house downtown, there are a lot of new restaurants to check out this month. Here are our picks for October’s buzziest new restaurants. Hidden in a woodtrussed dining room behind Triple Beam Pizza, this Cal-Ital restaurant from Mozza vet Matt Molina balances casual and refined. Snappy wax beans are sluiced with vinaigrette for a picnic-worthy salad; sweet corn cappellacci are lush pasta pillows. Harissa-rubbed roast chicken and a glass of Vermentino deliver the unfussy pleasure found at the best neighborhood spots. 5916 1/2 N. Figueroa St., Highland Park. Teresa Montaño’s narrow Spanish place feels like a slice of San Sebastián wedged into the old Frank’s Camera building. Tapas and pintxos range from golden fritters flecked with jamón to plump green olives with orange peel; chilly gin tónicas and stubby glasses of vermouth lubricate the front bar. The cozy tables in back offer space to huddle over crisp- edged squid ink paella and a bottle of tinto fino. Building on their Venice Trattoria, Scopa, cocktail kingpins Pablo Moix and Steve Livigni have partnered again with chef Antonia Lofaso, this time at an open-air Latininspired dinner house in the Fashion District. Fried pork with whipped beans and spicy beef empanadas complement daiquiris and not-too-sweet piña coladas blended to order. A sundae with brûléed bananas honors the building’s past use as a fruit packinghouse. 612 E. 11th St., downtown.